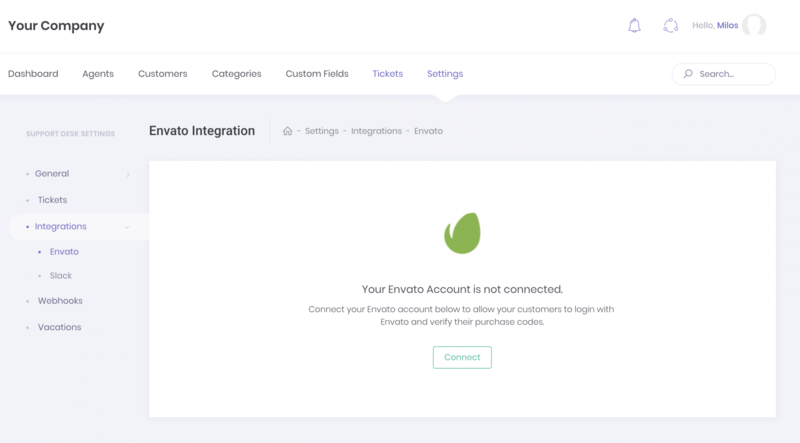 Once your Envato account is connected to Support Hub, you can proceed and add your own Envato app to allow your users to log in with Envato and to automatically verify their purchase codes. If you have some experience with Envato API, this will be a breeze for you. But, even if you have never worked with it before, we will cover it here, step by step. Head over to https://build.envato.com/, scroll down a bit and click on a big green button titled Register your app to get started. This will take you to a "Register your app" page where you need to provide some application details. Pick anything you want for an application name. This will be visible to your customers so it's recommended to pick something that will be familiar to your customers like your company name or Envato username, etc. In this case, your customers will be able to authenticate with their Envato account only when they access your help desk via the custom domain. Once you fill the confirmation URL input field, check the "I have read, understood and agree to the Terms and Conditions" checkbox and click the big green Register App button. 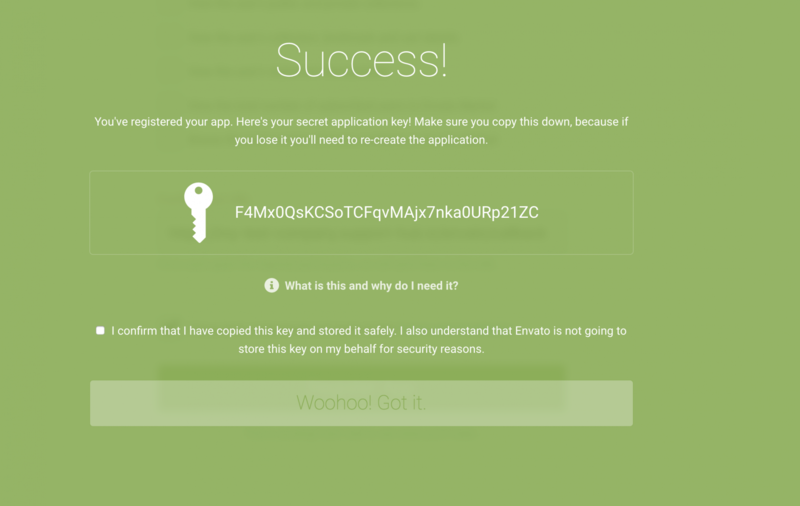 A new green popup should appear with your application secret key in it. Make sure you copy that secret key somewhere so you can access it later, check the "I confirm ..." checkbox and click the "Woohoo! Got It." button. After clicking the "Woohoo! Got It." button, you will be redirected to the list of your Envato applications and your newly created application should be listed under "Apps you've registered" heading. 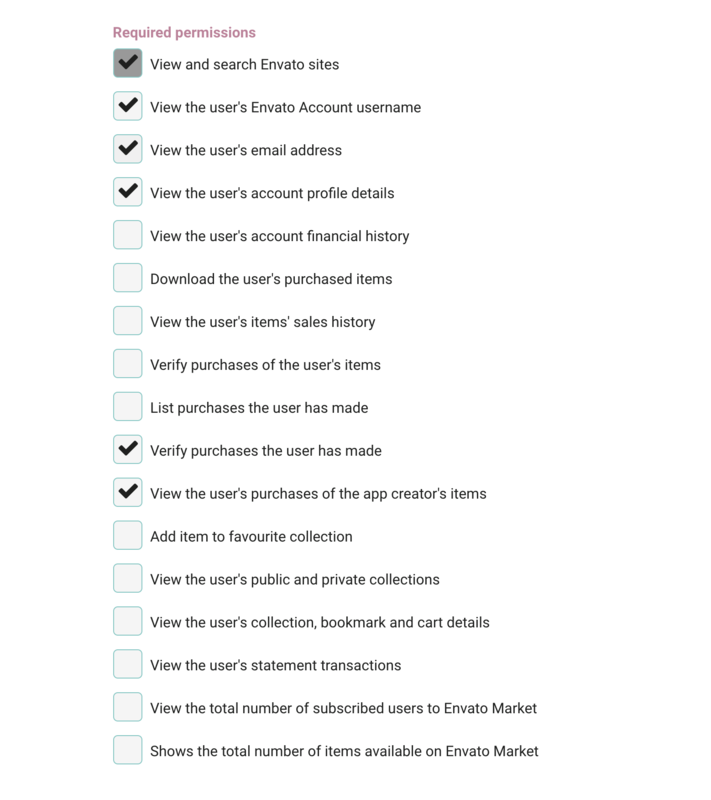 Now hit the "Update Settings" button and that's it, your customers will now be able to connect their Envato accounts to your support desk and verify their purchases automatically.